Hi everyone! 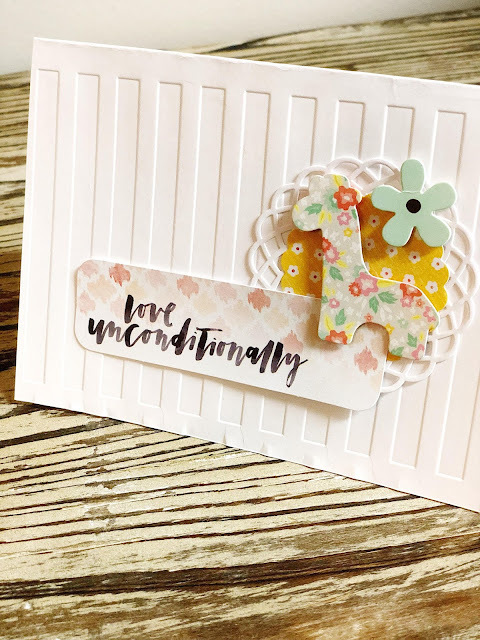 I’m so excited to show you this cute little card I made for my friends baby shower! I used the Craftwell “SNAP” which is now my go to favorite tool! 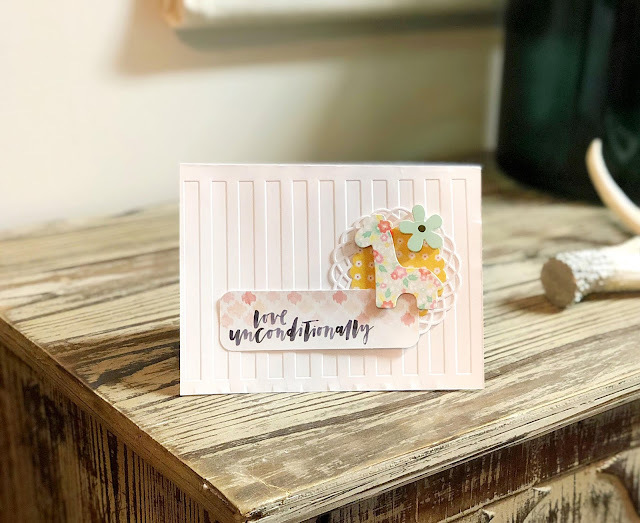 So easy, you can use small scraps of paper and left over card material to create cute cards like the one above! The SNAP is just like the Cut ‘n’Boss, only smaller, lighter, but just as powerful! I took a picture of the small die I used and my hand for reference! Amazing little tool that now lives on my craft desk! This card was easy! Just embossed some left over cardstock (I like using all of my scraps!) 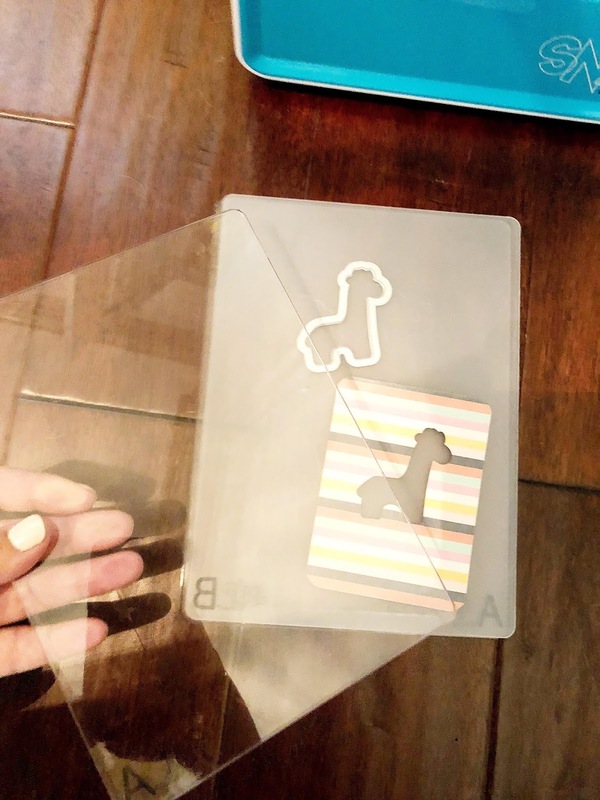 embossed it with the Teresa Collins mini stripe embossing folder and used Sizzix does to cut the giraffe, circle, and cute geometric shape behind the giraffe for a bit of a 60’s safari vibe! Her shower was animal themed, so I thought this was appropriate 😉 I glued all the pieces together and attached to the gift! Easy, and personal! I hope you’ve enjoyed this post! Until next time!